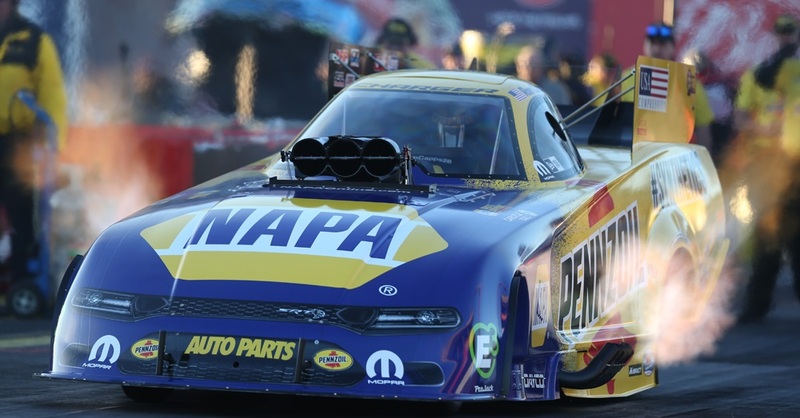 TOPEKA, Kan. (May 19, 2015) – Heartland Park Topeka has a special place in Ron Capps’ heart and it’s not just because the driver of the NAPA AUTO PARTS 2015 Dodge Charger R/T owns three NHRA Wally trophies from the track. The Don Schumacher Racing driver, who arrives in Topeka this week with the championship points lead in the Mello Yello Drag Racing Series, knows the special place the sprawling facility has in NHRA history. “I remember when it opened in 1989 and it was the premier facility in NHRA,” said Capps, whose first time racing there was six years later. Along with three Topeka wins, Ron advanced to the semifinals the past two years and to the championship round in 2012. The wave of nostalgia for Capps results from the status of this year’s 27th annual Kansas Nationals that leaves the facility’s long-term future uncertain. 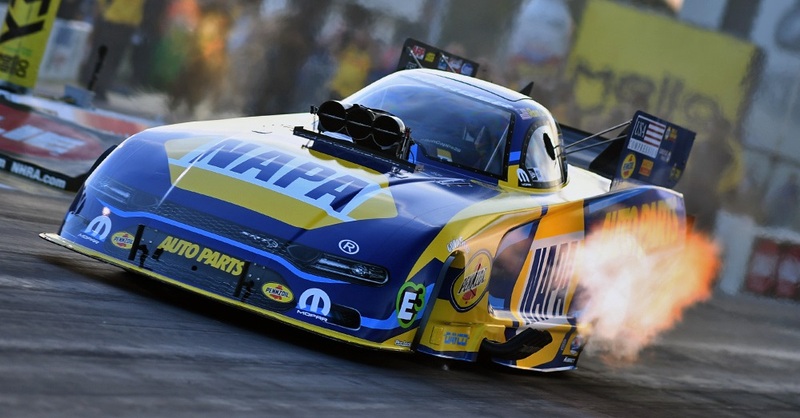 The NHRA stepped in to guarantee the event will go on as scheduled this weekend and has worked tirelessly the past few weeks to ensure a quality event is expected. 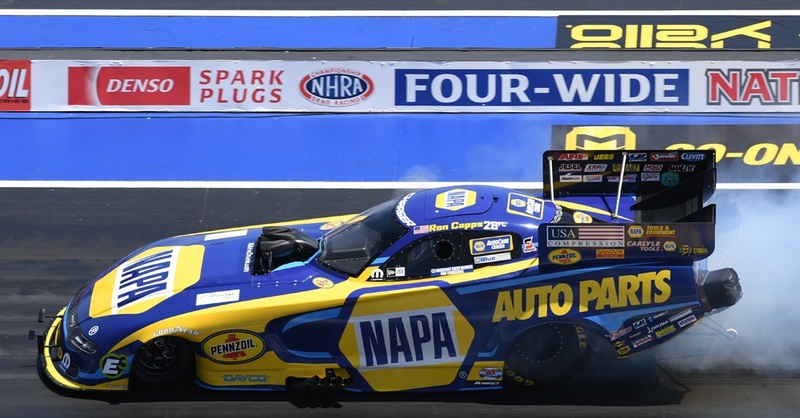 “It would be heart-breaking if we don’t go back after this year,” said Capps, who has won two of his 44 Funny Car titles this year. “That town has thrived from the revenue our races generate. I’ve always bragged that as soon as we hit town the NHRA race is on the front page of the paper and leads the news on TV, and not just in sports. “The town always has been so welcoming and has embraced our sport. I hope we’ll be there a long time. It’s a great racetrack,” said Ron, who won titles there in 1998, 2006 and 2009. And all racetracks recently seem to have been great for Capps and the NAPA team led by crew chief Rahn Tobler and assistant Eric Lane. 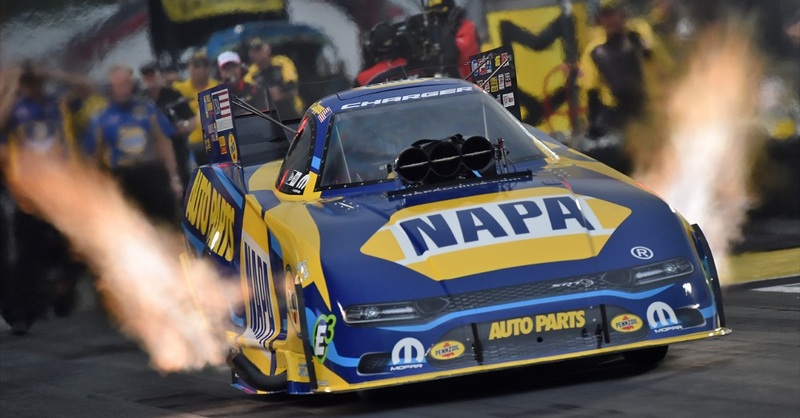 The NAPA team advanced Sunday at Atlanta to its fourth championship round through this season’s seven Mello Yello events and leads Don Schumacher Racing teammate Matt Hagan by 21 points in the standings. 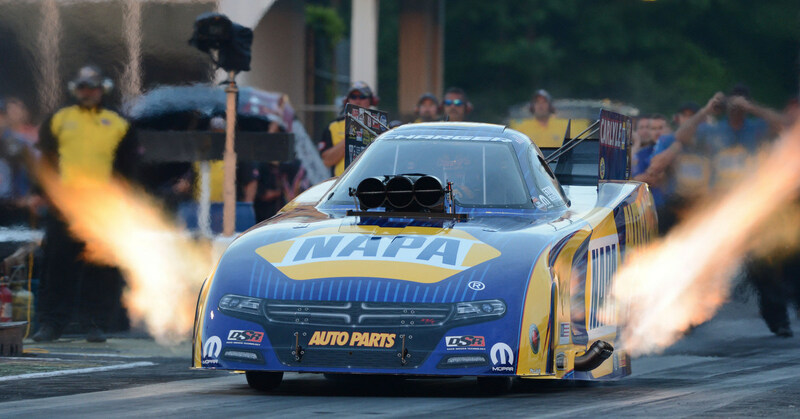 The NAPA team’s performance was a hard-earned effort Sunday in the Southern Nationals. A few nagging mechanical issues affected the team’s qualifying effort that left it ninth in qualifying that gave first-round opponent Alexis DeJoria her choice of lanes.